Preaching to students about the dangers of procrastination has never worked for me — mostly because I embrace my own natural tendency to procrastinate. I decided long ago that sharing my strategies for taming and optimizing this habit is a much better use of my time. So instead of trying to convince students to start their work earlier, here are the five things I tell them that have helped me harness and optimize my gift of procrastination. Many of us are conditioned to feel ashamed of the fact that we procrastinate. I say that procrastination is either a skill that works for you or it doesn’t. Procrastination is a skill that can be developed, and perfected with work and dedication. By assessing these things, you can tweak your approach to minimize the cost and maximize the success. Once you have an objective understanding of how your procrastination affects you, your projects and those around you, you can begin to hone your skill. Perhaps this is a talent that is best deployed only in particular situations. You may learn that creating “Sprint” days, where you work rapid fire, to check off as many things on your list work better for you than trying to tackle your work in small chunks. Learn what motivates you and work in every project to become better and more strategic in how you apply procrastination as a tool. Even if you love the way you work, others may not find it endearing as you do. Be considerate of how your mad dash affects others. You must be thoughtful about what your delay tactics costs those around you. Projects that end without the thrill of hard, quick paced, high stress work leaves me feeling empty. I enjoy the danger of moving closer and closer to the deadline with some uncertainty about my ability to finish everything I need to. There is something addictive about a late night scramble or frantic focused effort. Learning to use procrastination strategically will give you freedom to enjoy the excitement it brings! Do you share a love for procrastination? Or does it drive you crazy? Rachel Phillips-Buck is the Vice President and a Senior Consultant at Pharos Resources. She works closely with clients to create and coordinate best retention practices on their campuses. She has worked with Pharos 360 since 2006, helping to develop and implement this early alert system on campuses throughout the United States. Prior to her work with Pharos Resources, she worked as a career counselor at Abilene Christian University. She taught the Career and Life Planning Class, and created and delivered the “D!scovery for Deciding” program, a five-week program that helps students choose, confirm and focus his/her major. 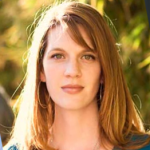 Rachel is a Licensed Professional Counselor, and approaches all of her work with Pharos Resources with a perspective informed by her training in Systems Theory. Rachel received a BS in Psychology and a Masters in Marriage and Family Therapy from ACU.